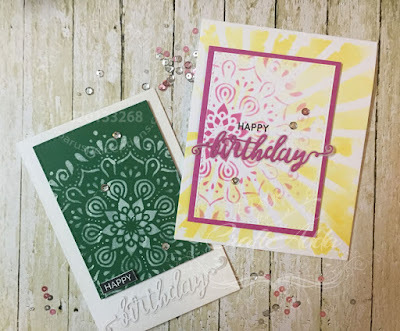 I have a couple of cards for you today, made with the newly released stencils from Craftangles!! They are so gorgeous..I cant get over them!! I have started with my favourite stencil..'mandala'. 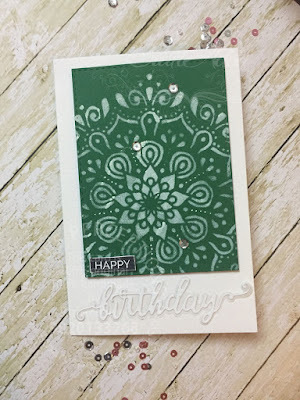 To make this card, I used Hero Arts Unicorn White ink to stencil over a deep green card stock. This ink takes a while to dry and I couldn't wait, so I dried it with my heat tool. This set the ink beautifully! 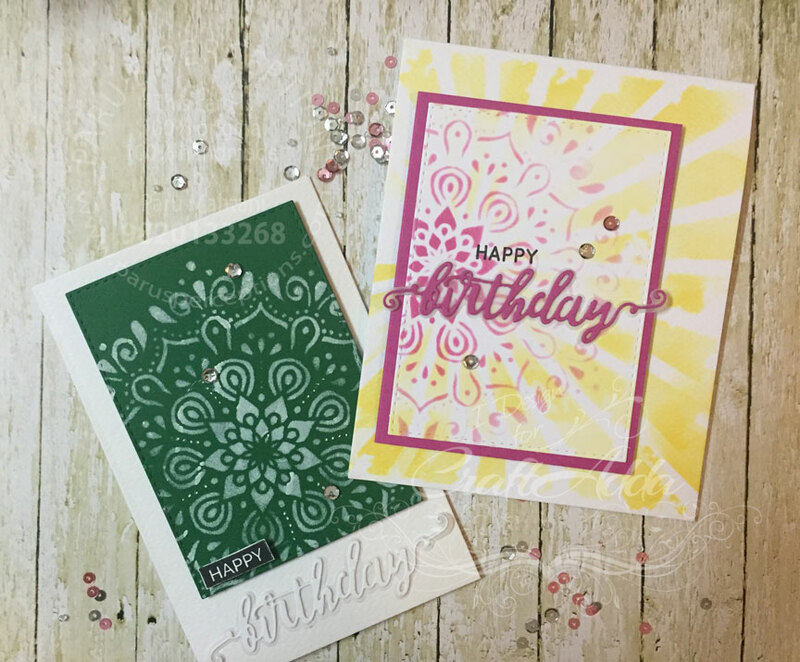 To finish the card, I stamped and diecut the sentiment using the Birthday stamp and die set, also from Craftangles. For the second card, I used Tim Holtz 'Picked Raspberry', 'Worn Lipstick' and 'Victorian Velvet' distress inks to stencil the 'mandala' design onto smooth white card stock. I then cut this panel using Simon Says Stamp stitched rectangle die. I then layered this panel over some pink cardstock. I used a second stencil on the card base as well as the stencilled panel to add some interest. This stencil is the newly released 'Rays' stencil from Craftangles. 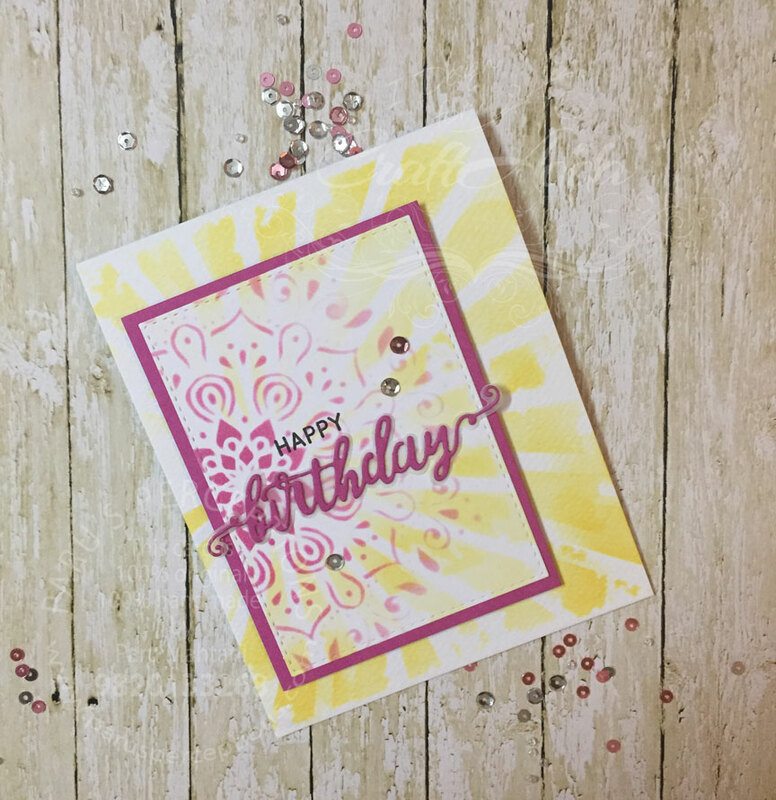 To finish the card, I used a die cut sentiment from the Craftangles birthday stamp and die set. 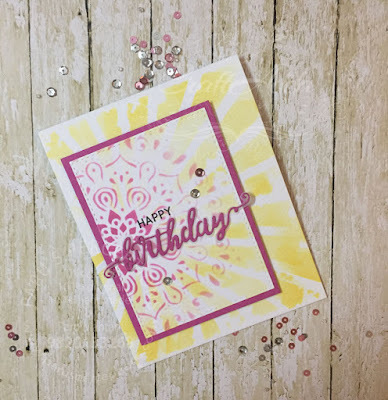 I hope you liked the cards and will be inspired to try out these stencils yourself!